Take a quick glance at artist Yoon Dain’s workspace and for a moment, you might feel as if you’ve stepped into the makeup corner at the department store. A large mirror stands next to a canvas and a paint set that looks more like an eye-shadow palette colorfully complements a muted NARS blush and Bobbi Brown cosmetic set. Although a viral sensation on the likes of big-name beauty platforms such as Cosmopolitan, Glamour, Teen Vogue and Refinery 29, Yoon’s makeup skills go deeper than a matter of surface aesthetic. In fact, she had not even started wearing makeup until two years ago. 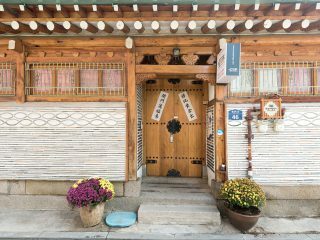 “In Korea, women conventionally don’t start wearing makeup until they’re twenty, and I wanted to adhere to that,” says the smiling 22-year old Yoon, now in her fourth year at Korea National University of Arts. With Yoon’s work, and perhaps with Yoon herself, there is more than meets the eye. Often labeled illusion art, Yoon’s artwork is a series of photographs that show Yoon herself as a painted figure. You can see them on her Instagram account @designdain, which currently has over 81,000 followers. A post uploaded on Aug. 27 with the caption “show your true colors,” for example, shows Yoon’s face interwoven into a rose-patterned turquoise wall. Or is it her face drawn onto her chest? It’s difficult to say. “There was something Magritte and surrealist about it, even if it wasn’t my intention,” says Yoon. 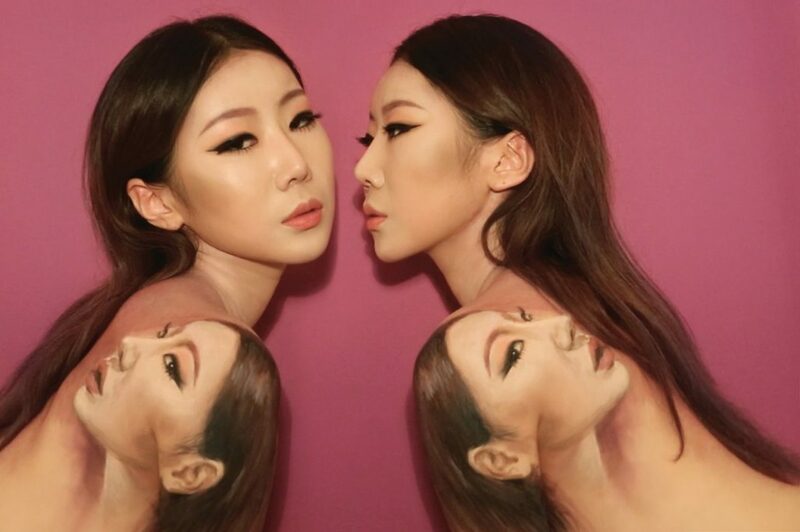 Although makeup and body paint are two tools often used to conceal and mask, it’s ironically striking that Yoon is able to use these tools to attempt to reveal a deeper meaning about human nature. While audiences look forward to her next work, they can busy themselves looking at her work again and again. After all, you may find something new in each observation. Audiences abroad seem particularly focused on the surrealism of her pictures and the details behind her work, while locals are often curious about her source of inspiration and the reactions of her inner circle.